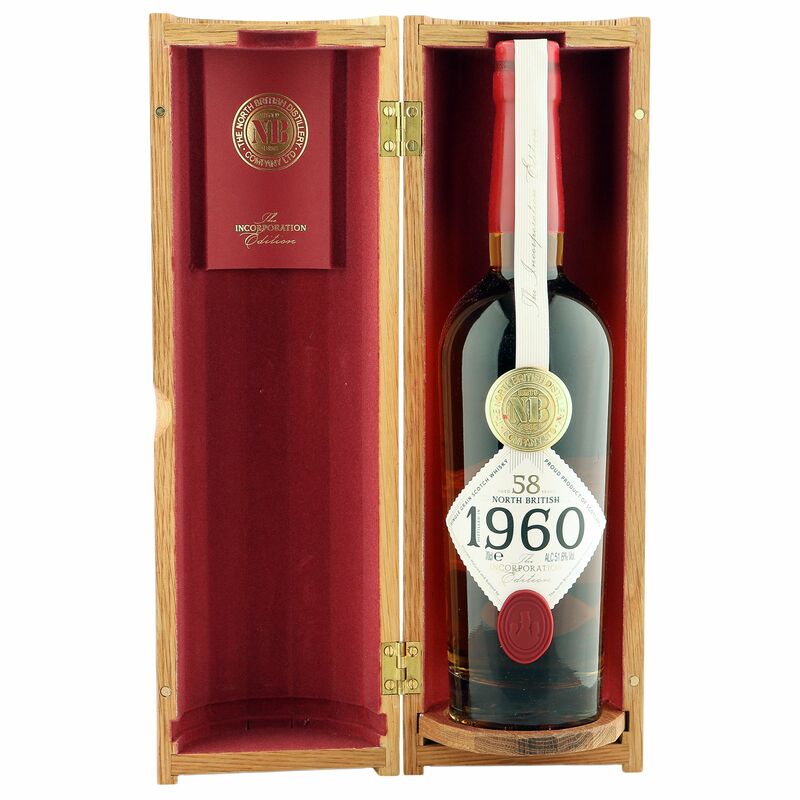 This groundbreaking 58 year old Lowland single grain was laid to rest at the North British distillery, just outside of Edinburgh, in July 1960 and bottled in 2018 as the first ever commercial release by The North British Distillery Company. Bottled to commemorate the incorporation of the distillery, which took place on 24th October 1885, this exclusive stunner comes in a gorgeous hand-made oak casket with stitched booklet, hand signed by the MD, Alan Kilpatrick. 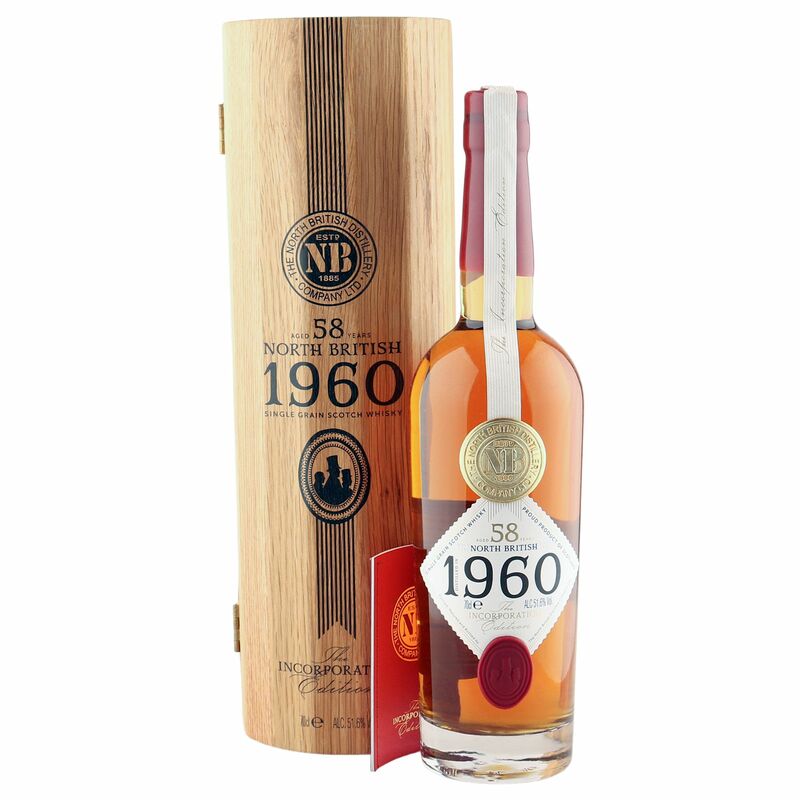 Drawn from single hogshead at a natural cask strength 51.6%, this is one of the oldest ever releases from the NB distillery and is one of a very limited 222 bottles.